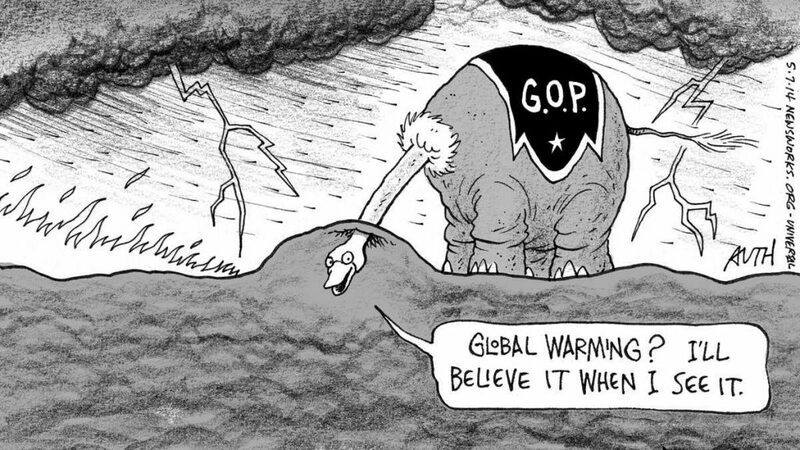 Members of the GOP are notorious for their stance against the idea that humans are causing global warming, or that global warming is real – nevermind that it’s caused by humans or not. Needless to say, climate change can be linked to human activities with a close to certain probability: 99.999%. But while the consensus on global warming among scientists has become even more entrenched, the subject has been polarized in the media to great lengths. As if it’s a matter for debate. It’s not really – it’s just the details that are worth debating. The fact that global warming is happening now and is accelerated by human activities is undeniable, yet many Republican Presidential candidates seem to refuse to acknowledge this out of ignorance or some other interest. Sen. Marco Rubio says “there’s no consensus”, Sen. Ted Cruz likens climate change proponents with “flat-Earthers” and Donald Trump… well. Sen. Lindsey Graham continued in the same note. It might not be long until climate change becomes a mainstream part of the Republican rhetoric. After all, politicians merely reflect what their electorate thinks. ZME Science previously reported that 73 percent of Americans believe global warming is real and 79 percent favor some sort of government intervention on the issue. According to a report issued by the Yale Project on Climate Change Communication a strong majority of respondents who identify as “liberal Republicans” believe global warming is happening — 68 percent — as do 62 percent of moderate Republicans. But only 38 percent of Conservative Republicans acknowledged climate change, while of those who self-identified with “tea party” only 29 percent did so also. Since most Republicans fall in the latter two groups, overall only 44 percent of Republicans believe global warming to be true. Even so, it suggests a shift in the way Republican voters understand climate change.